In this article I am going to take you through the steps required, to properly clean a mattress. This will not only help keep your mattress fresh and clean, but also keep your bedroom feeling the same way. It is a fact that most people sleep around 8 hours a night. I know that will vary from person to person, but it is a pretty accurate average for people living in the UK. Now that also means that you spend about a third of your life in bed, laying on your mattress. Now many people will regularly change the sheets on their bed. Not so many want to undertake cleaning a heavier mattress. It can be difficult to do, especially if you are living on your own. It is however nonetheless a very important household cleaning task to do. There is no specific rule or certain amount of times when you need to do this. I do however want to offer you, what is considered by many, to be a good rule of thumb. The manufacturers of mattresses suggest that a mattress should be flipped over twice a year. However the same rule applies to cleaning both types of mattress. When you turn it, you should deep clean it. So the general advice is that you should deep clean your mattress, twice a year. Now that doesn’t seem so bad. I would however strongly recommend hoovering the mattress, each time you change your sheets. It only takes a few minutes, and that will really help prevent the build up of any nasties. Remember mites live off dry skin cells. If there are none there, then they have no way of surviving. The actual time taken to do this is not that long. It is the disinfecting and deodorising that takes the time to do. You can do this in a day, but you will need an early start. Probably the best time to do this is if you are going to be away overnight. That will allow the time to let the mattress become fully deep cleaned. However during a normal sheet changing time, it will only take a few minutes to hoover the mattress. There is no need to deep clean every single time you do that. Now let's have a look at the steps involved, in doing a deep clean. To get at your mattress, you will need to remove the duvet, sheets and all pillows. That should leave you just with the mattress. Place all of the old bedding in the wash basket. That can be done when you get a little more time. You will also need to remove the mattress protector, if you have one, and any mattress pads if you have those fitted. You just want to be left, with the bare mattress. Most modern vacuum cleaners come with what is called an upholstery head. 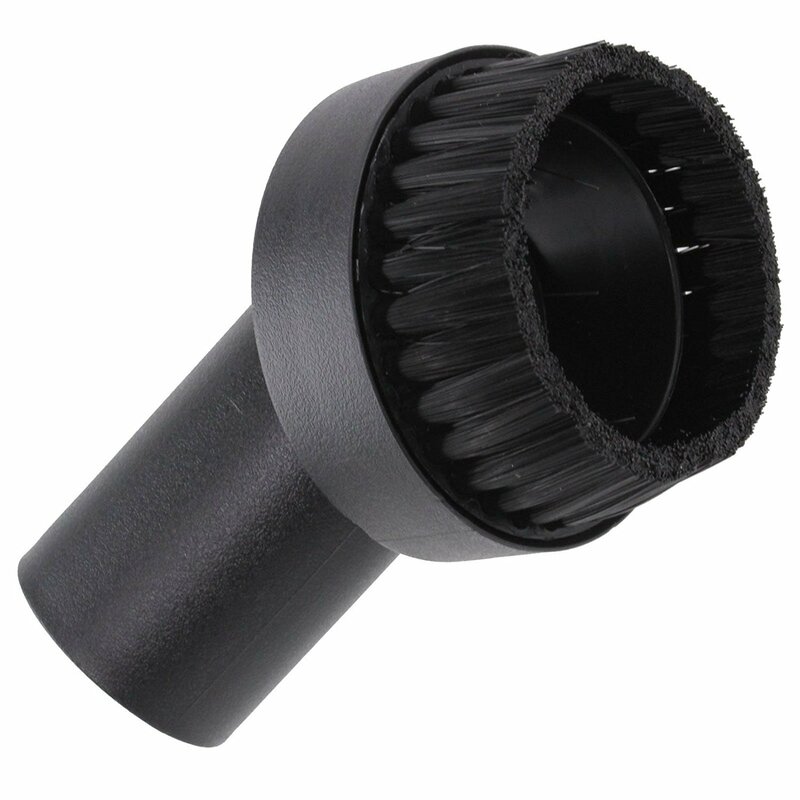 That is a small round shaped head with pretty stiff bristles. Normally that is the one you would use to clean the sofa, or use to clean the car seats. Hoover the entire mattress. Take your time with this and make sure you get into all the seams, and where those small buttons are on the mattress. Now I don’t want to put you off doing this. However, almost any mattress will be covered with dead skin cells, a few hairs and other stuff that I will not mention here. Dust mites thrive on that type of material, and you will want to get rid of as much as you can. Once hoovered, it is a good time to inspect the mattress, and look for individual stains. I know this is not the best job to have to do, but someone should be doing it. Typically with younger children, and even some older people, there will be urine stains to deal with. If pets are around your bedroom, then there will also be the potential for stains as well. Whatever you find, it is best to treat them individually. Some type of upholstery cleaner is best for doing this. If you don’t want to do that, then a mild solution of dish detergent and some warm water, is the next best thing. There is no need to soak the mattress. Treat stains with a damp cloth, and try to wipe them as clean as you can. Urine is particularly difficult to clean, and will take some time. Now there are commercial fabric stain removers available on the UK market. You can use those to get rid of the tougher stains. 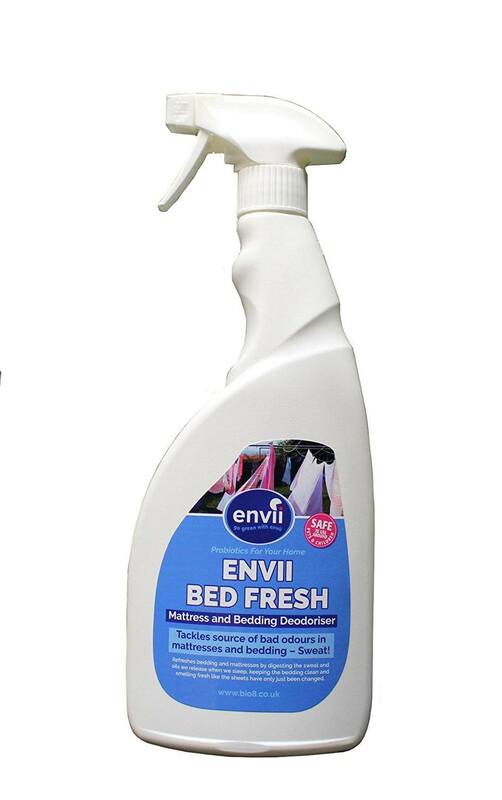 The stain remover that gets the best buyer reviews is called Envii Bed Fresh and is available on Amazon. According to buyers this one works really well on the removal of sweat stains, and any odours lingering on the mattress. Baking soda is in many ways one of the best cleaning ingredients on the market. It is however really good at getting rid of unpleasent odours. Our advice is to liberally sprinkle the entire mattress with baking soda. Make sure it is well and truly covered. Baking soda is not an expensive purchase and it does an excellent job. Let it stay on your mattress as long as you possibly can. Overnight is ideal, but if that is not possible, then leave it to the last minute. Once you have reached the time, get the vacuum cleaner back out, and hoover up all of the baking soda. The next time you turn the mattress, you can then repeat the process, on the other side. So those are the key steps to doing a deep clean on your mattress. Twice a year is just about enough to keep your mattress in the best condition. Ideally 4 times a year would be a better idea. Once you get that done, you can then enjoy your bed once again, knowing it is clean, healthy and fresh. My first tip is a simple one. Never soak your mattress as that will actually damage it. Always use a damp cloth and always allow plenty of time for it to dry. There is a temptation, especially with stubborn stains, to keep adding water to it. You do not want to make a mattress wet. A damp cloth is always the order of the day. I would also recommend buying and putting on a mattress cover. These are not that expensive, and they do add an extra layer of protection for your mattress. In addition you can also add a mattress topper, often referred to as a mattress pad, between the mattress cover, and the bottom sheet. By giving the mattress a thorough deep clean, and then adding a cover and a pad, you really do improve the overall comfort and cleanliness of your bed. These also help prevent dust mites and any other bed bugs, from taking over your bed. How To Clean A Mattress With Urine Stains? If you have little ones, and even some older people, then the chances are that you can get urine stains on to your mattress. We would recommend using the technique shown above. If you want to be really sure, then there are some commercial products available, that will do he trick. 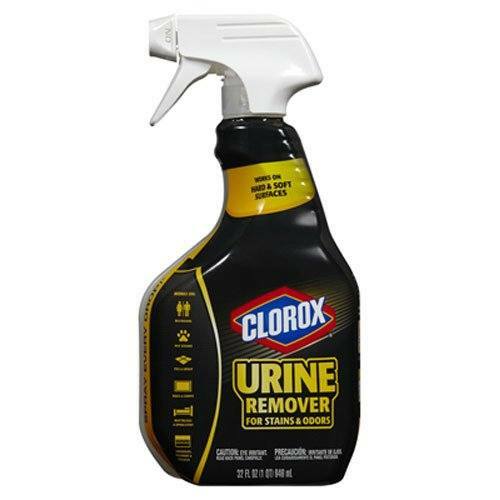 The Clorox Urine Remover, available at Amazon, appears to be getting really very good reviews, from real life buyers. This one also seems to be very efficient at removing pet stains as well. Many buyers said it did an excellent job at removing the smell of vomit. This product comes in a spray bottle for even easier application. What Other Stains Can You Get in a Mattress? We have mentioned the most common ones. However you can also get blood stains, oil and grease stains from your body, and other bodily fluids. Yes I know it sounds terrible, but it is just the reality of the situation. If you can air your mattress, then that is a great idea. It will of course mean taking it outside. The mattress on a single bed is just about manageable. With a double sized mattress or larger, then it will take two people. It is a good thing to do on a warm summer’s day. It can also be done if you are decorating the bedroom, as you will have to move the bed out anyway. By airing your mattress, you help remove any built up moisture, and that in turn helps prevent the dreaded mould from starting. Airing a mattress is a very important thing to do, if you or any of your family suffer from asthma or allergies. The simple answer is yes, but I would strongly recommend using the vacuum first. I would also recommend then using the stain removal process. Once that is done then you can get to work with the steamer. Always use the upholstery attachment that comes with the steam cleaner. You should also use the cloth that comes with the steam cleaner. This really helps absorb the moisture from the steam. With mattresses, especially those that are made of foam, it is really important not to overdo those with steam. Move the cleaner quickly across the mattress working in a consistent pattern. Now that we have discussed cleaning the mattress, it is also the perfect time to clean the rest of your bedding. This would include mattress protectors, mattress pads, sheets, duvets and pillows. I recommend doing that on a high temperature, as that will kill off any mites, bugs or other horrible things that might be in there. Before you do that though, it is worth spending a few seconds, to check the washing instructions on the labels. You don’t want to end up ruining your bedding. Hopefully you have found this article useful. If so, please feel free to share it with your friends. We covered how to to a deep clean on your mattress, and also how to prevent stains from happening in the first place.